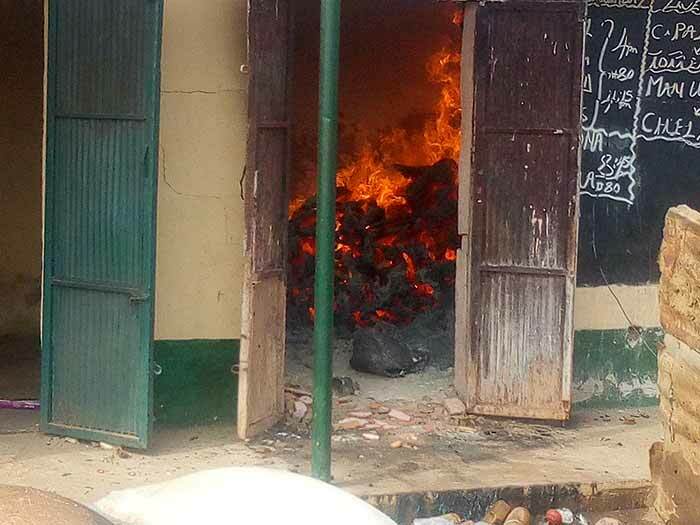 Twelve persons were confirmed killed while many others sustained varying degrees of injury, following Monday’s unrest in Kasuwan Magani in Kajuru Local Government Area of Kaduna State. 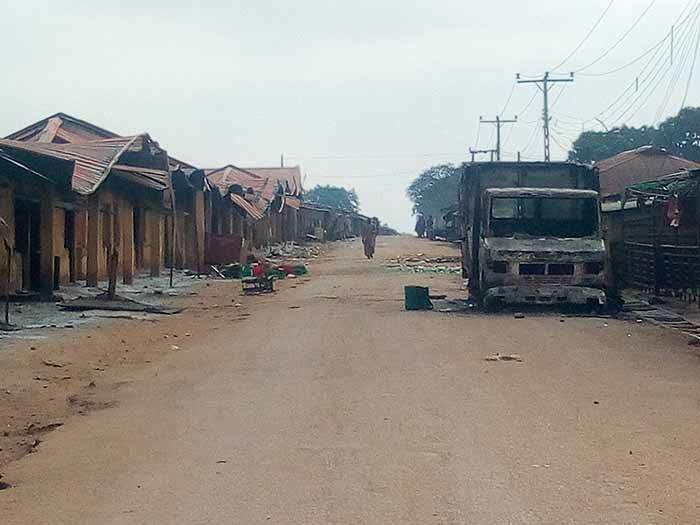 Mayhem was unleashed in Kasuwan Magani, a community situated 36 kilometres away from Kaduna metropolis, a sttlement that serves as gateway to the southern part of the state, Plateau, Nasarawa and Benue states. 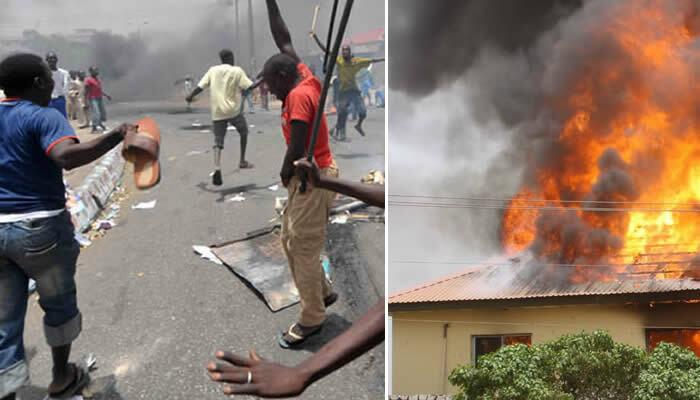 The death tolls in the crisis that erupted at Kasuwan Magani in Kajuru Local Government Area of Kaduna State on Monday, has risen to twelve while over 1,000 houses, shops were destroyed. 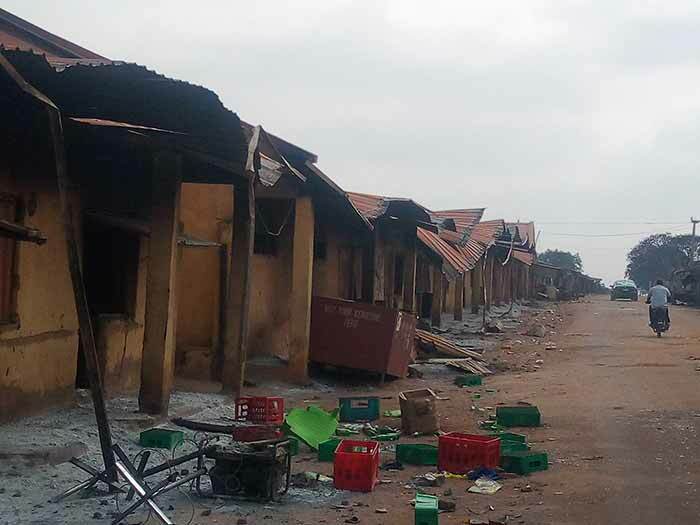 The state police command had on Monday said seven people were killed and fifteen others injured in the violence. 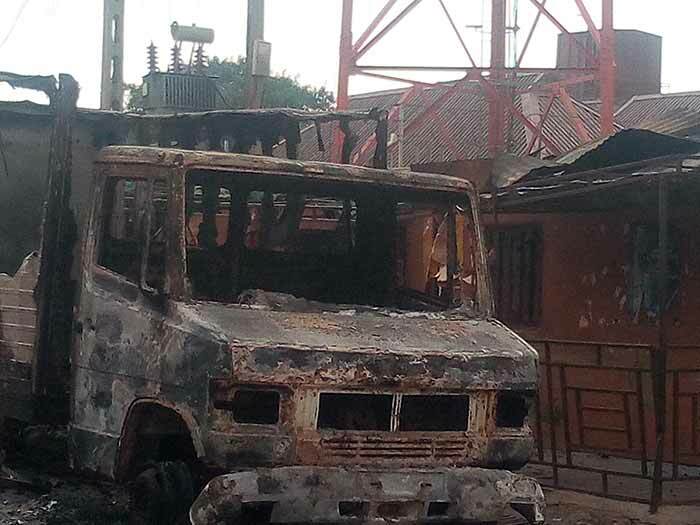 However, while addressing journalists after a visit to the troubled spot by security chiefs, the State Police Commissioner, Austin Iwar, explained that 11 deaths were recorded on the first day of the incident on Monday while one of the victims who sustained injury and was rushed to the hospital, died in the early hours of Tuesday bringing the number of those killed to twelve. 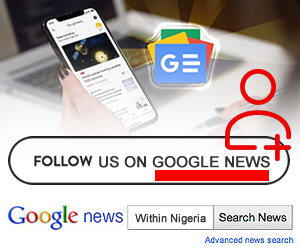 He disclosed that the 11 persons were buried midnight on Monday, but the residents gave conflicting figures, saying that over 15 persons died during the incident. He also said 18 suspects have been arrested and that the command recovered dangerous weapons, including petrol bombs. 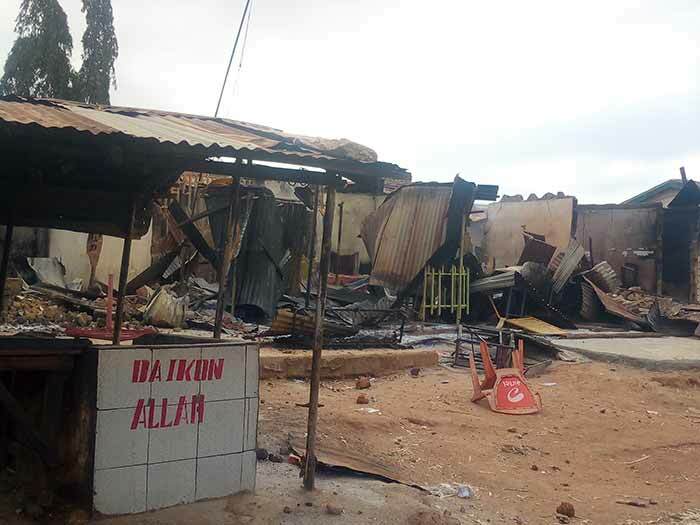 Though, Iwar, did not mention the number of houses and shops that were torched, our correspondent gathered from residents that over 1,000 houses, shops were razed during the incident. 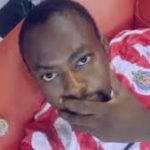 Iwar described as unfortunate, the incident which he noted was avoidable, adding that the police would embark on a thorough investigation to ascertain the immediate and remote causes of the incident. The police boss said, “It is unfortunate. As we can see the level of destruction is very high, some people were killed and properties were destroyed. This is not what we wish for our state, Kaduna. “Let me say that we will not leave any stone unturned investigating the remote and the immediate causes of this problem. We will talk to the stakeholders here and try to find out what is the problem and through civil problem-solving approach and conflict resolution, we will deal with that. “We will also look at the criminal aspect of it. So far we have arrested eighteen people that we suspect were involved in the crisis.